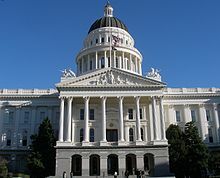 The California legislature has passed a bill that would hold companies legally responsible if the temp agencies and subcontractors they hire cheat workers out of their wages or put them in harm’s way. Labor officials across the country have increasingly expressed concern about the rapid growth of the temporary staffing industry since the recession. They have also noted the push by hotels and warehouses to subcontract work that is part of their core business, such as cleaning guest rooms and unloading trucks. Assembly Bill 1897, passed Thursday night, was inspired in part by a ProPublica investigation last year that found that temp workers were more likely to be injured on the job than regular workers and that some temps for brand-name companies were being charged fees that brought their pay below minimum wage. The Teamsters and the California Labor Federation were key supporters of the bill , which they pushed in tandem with a campaign to unionize workers—many of them temps—at a produce-processing plant in northern California. Taylor Farms, which runs the plant, supplies salads and cut vegetables to McDonald’s, Subway, Olive Garden and Pizza Hut. Under the bill, sponsored by Assemblyman Roger Hernandez, D-West Covina, companies could face fines if their temp agencies and subcontractors fail to pay employee wages or provide workers’ compensation insurance. The legislation faced fierce opposition from the California Chamber of Commerce and other industry groups, which said it would punish some businesses for violations they didn’t know about and had no ability to prevent. The final version of the bill exempts homeowners, highly-paid tech workers, trucking and cable companies in most circumstances, businesses with fewer than 25 employees and companies that don’t employ more than five temp workers at a time. It now goes to Gov. Jerry Brown’s desk to be signed into law or vetoed within 30 days.